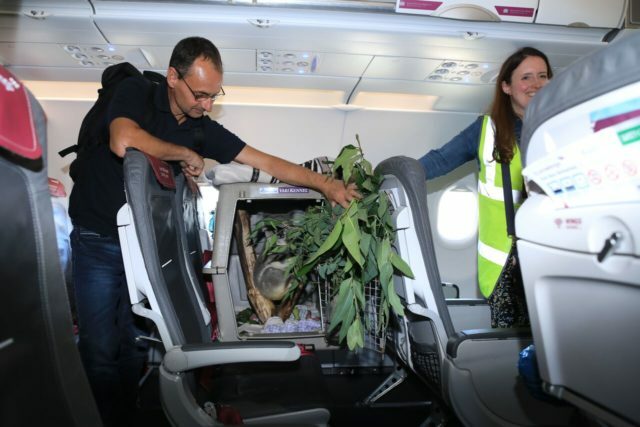 Plane passengers flying to Edinburgh had a surprise Antipodean traveller in their cabin – a koala heading for the city’s zoo. The 19-month-old Queensland koala had his own seat on the flight as the sensitive animals cannot be placed in the hold. Tanami travelled more than 700 miles from Duisburg Zoo in Germany to join Scotland’s only koalas in a conservation breeding programme. He is switching places with Toorie, Edinburgh Zoo’s young male koala, who will be making the return flight to Dusseldorf next week. Darren McGarry, head of living collections at RZSS Edinburgh Zoo, said: “Koalas are very sensitive animals, so special care needs to be taken when transporting them. 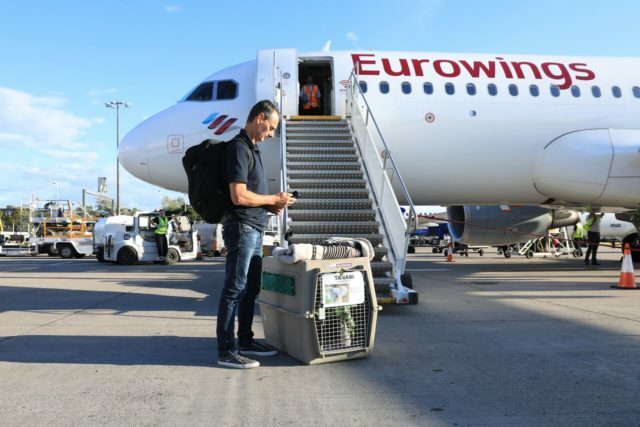 “They travel in the plane’s cabin and not in the hold so keepers can easily make sure everything’s okay during the flight. Viewings of the new arrival will be restricted this weekend as he gets used to his new home. Edinburgh Airport chief executive Gordon Dewar hailed the special passenger. He said: “We welcome passengers from all over the world to Edinburgh Airport but not all of them are as special or as cute as a koala. Koala numbers are falling in the native habitat of eastern Australia as the eucalyptus forest they depend on are being cut down.